A quick posting from the road, as my family and I vacation in Michigan. 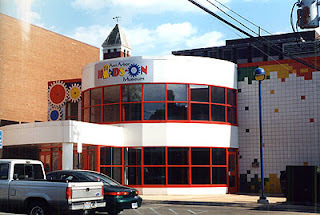 We had fun visiting the Ann Arbor Hands-On Museum, a great museum which started out in a historic 1882 Fire House, and has continued to expand to take up most of the block and adjoining buildings in the past 25 years. Well worth a visit!